The two best players in the world are in Champions League quarter final action on Tuesday 16th April and we’ve found the odds for both of them to score first in their respective matches. Lionel Messi’s Barcelona side have a 1-0 advantage against Manchester United, and Cristiano Ronaldo’s Juventus are level at 1-1 following the draw in Amsterdam last week. The two men are always favourites to score first in their respective matches but we’ve found the odds for some other doubles regarding the two best players in world football. 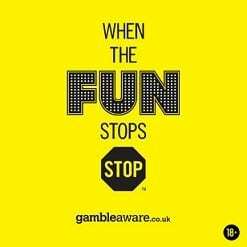 Whichever ones you like the look of, you need a bet365 account to bet on them and you’ll unlock the bet365 sign-up bonus when you use this link to register. The first bet is our favourite of the night, and it is for both Ronaldo to score first vs Ajax, and Messi to score first vs Man United. The two selections combine to make up a double at just over 10/1. Ronaldo scored the first goal in Amsterdam last week, as well as the opening goal in the second leg of the last round against Atletico Madrid. Both of these players are regular goalscorers, and even more regularly test the goalkeeper. The odds for both the players in the number of shots markets are quite skinny here, so instead you can get odds over 5/2 for both players to have over 2.5 shots on target in the respective matches. That means if both Messi and Ronaldo have three shots or more on target on Tuesday night, your bet is a winner. If you want a safer bet than the first goalscorer double then the anytime goalscorer double could be the bet for you. 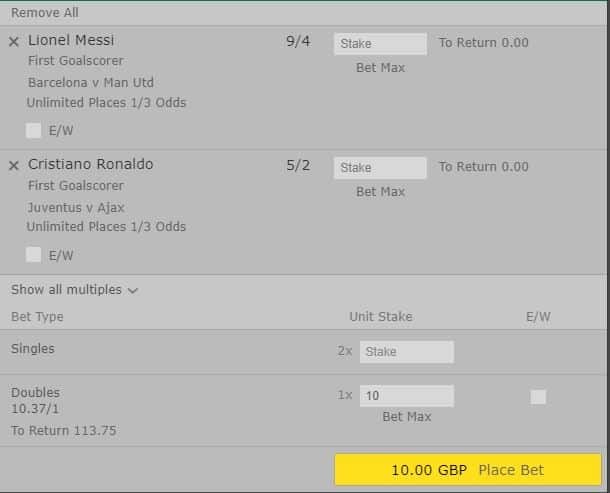 Messi is just 1/2 to score anytime with bet365, and Ronaldo is a 4/6 shot so betting on them both as a double comes in at 6/4 – this gives you a £50 return from a £20 stake. Barcelona vs Man United preview and betting tips. Juventus vs Ajax preview and betting tips. Join bet365 to get their £100 in bet credits sign-up offer for the Champions League. *All odds correct at the time of writing: 4pm Monday 15th April and subject to change.